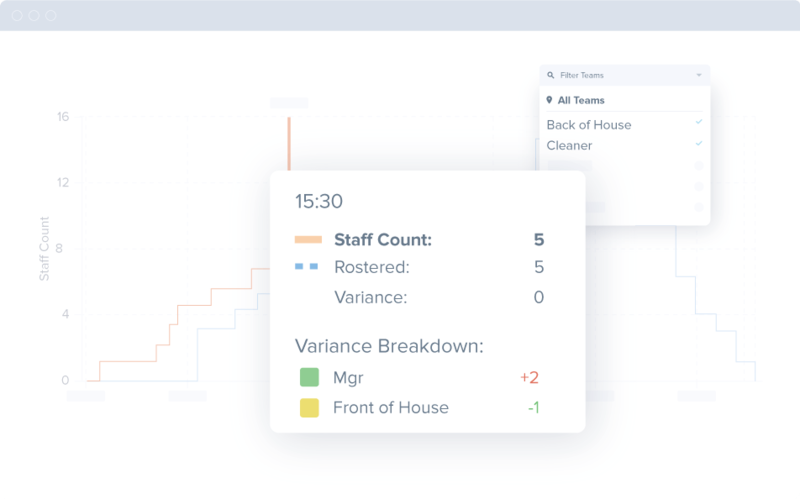 See how many staff are working in each team compared to the scheduled number as the day progresses. 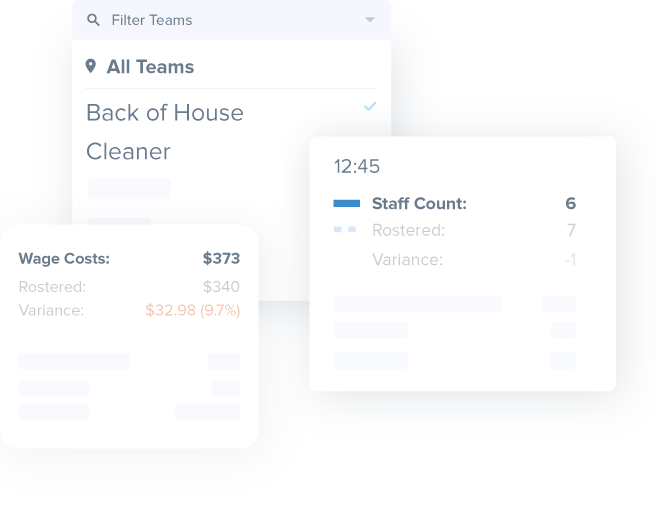 Get complete oversight of staff numbers in all teams and at all locations. 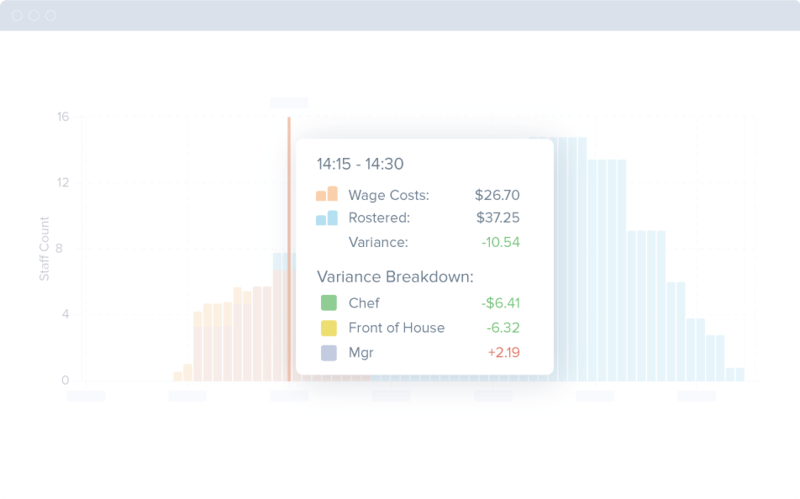 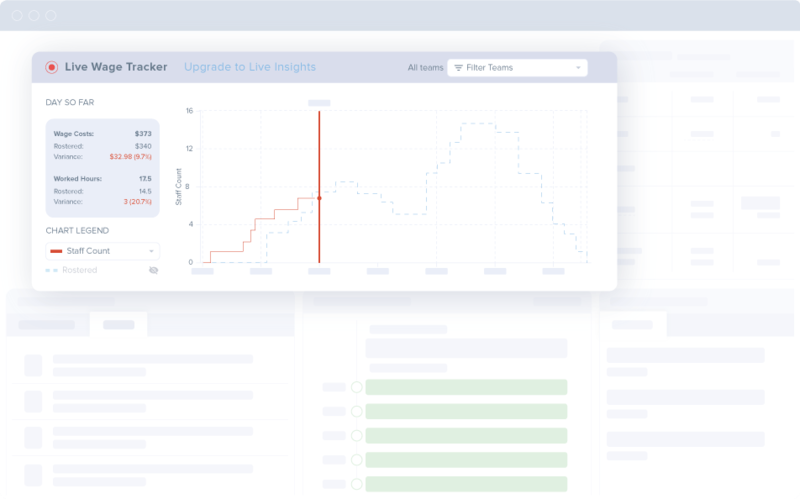 Live wage tracker will show you how many staff are currently working and which teams or locations have the largest variance from your schedule.